Land Rover has launched a new special edition Discovery - the suitably named Luxury model. Priced at £56,995 and available from July, this new top of the range variant comes with a vast list of standard equipment to justify its name. It comes exclusively in Santorini Black with bright silver roof rails, a silver grille surround with the grille slats in the body colour and silver door mirror caps. At the back there's a steel bumper tread strip and it gets 20-inch alloy wheels in a 10-spoke design. Inside there's the choice of Ebony or Ivory leather, a new Dark Zebrani veneer and twist pile luxury carpet mats with a contrasting edging. There's also an extended Windsor Leather Pack to the dash top, instrument panel binnacle, armrests and door tops. Other standard kit includes a Harman/Kardon premium audio system, rear screen entertainment with 8-inch screens and wireless headphones, privacy glass plus a front centre console cooler box. 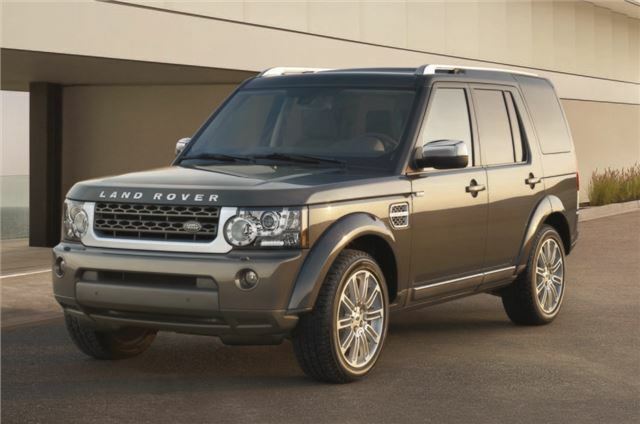 The Discovery HSE Luxury Edition is powered by the SDV6 3.0-litre diesel engine with an eight speed automatic transmission tuned to improve efficiency and reduce CO2. Land Rover has also introduced a Luxury edition of the Range Rover Sport which gets a similar amount of extra kit and costs £58,020. Alongside it is another new model, the Range Rover Sport HSE Red. It comes in Firenze Red, Orkney Grey, Fuji White and Santorini Black and is designed to be a sportier Range Rover Sport. It gets a black mesh grille and unique, 20-inch alloy wheels. The interior is finished in the HSE Ebony colourway and seat inserts can be chosen in Pimento Red, Cirrus, Lunar Grey or Ebony with contrasting stitching. The seats have the Sport logo embossed on the headrest and this is picked up on the floor mats where the logo is embroidered in red to match the striking exterior badge colours. It costs the same £58,020 as the Luxury and both go on sale in June.